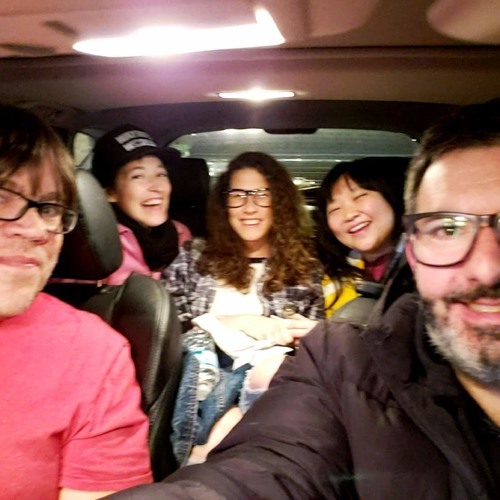 This week, I'm joined by 4/7 of Ready Freddies (John, Christine, Ann Marie and Amy), a Queen tribute band comprised of A-list Chicago musicians. We got tacos from El Primo Chuki's on Lawrence and talked about: The band's Halloween show at Martyr's The impending release of the Freddie Mercury biopic "Bohemian Rhapsody" Strategy for ordering tacos for a large group The similarities between Lawrence Avenue and Beirut Why did they start a Queen tribute band? How did John end up in an all-female tribute? The Queen-related "Twofer Tuesday" issue I had at the Loop John's adolescent fantasy made real GTR Guitars gets a quick shout-out!